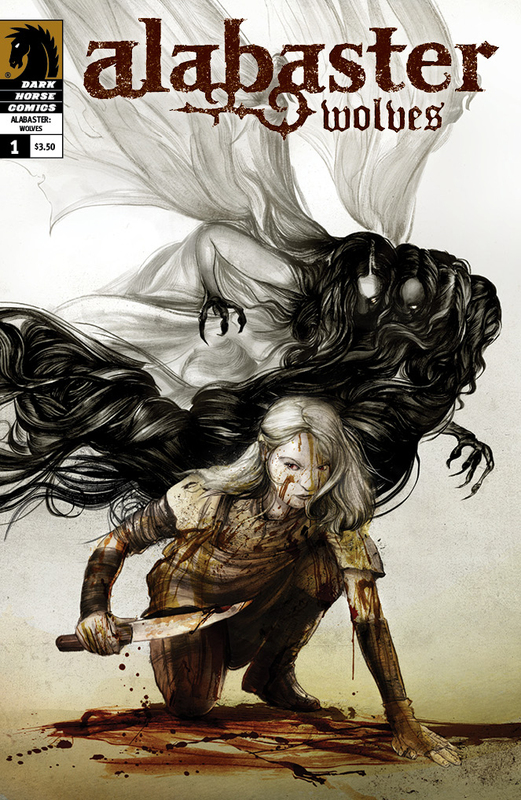 Alabaster will first appear in Dark Horse Presents #9 (on sale February 22, 2012), followed by the five-issue miniseries Alabaster: Wolves, which throws readers into Dancy’s world with a bang, strips away her seraph, and introduces the two characters who will become her long-term supporting cast. Alabaster: Wolves #1 is on sale April 11, 2012. Alabaster features artwork by Eisner Award–nominated artist Steve Lieber and cover art by Greg Ruth! If that cover is anything to go by, then at the very least this is going to be one beautiful book. Look for it in comic shops next year.